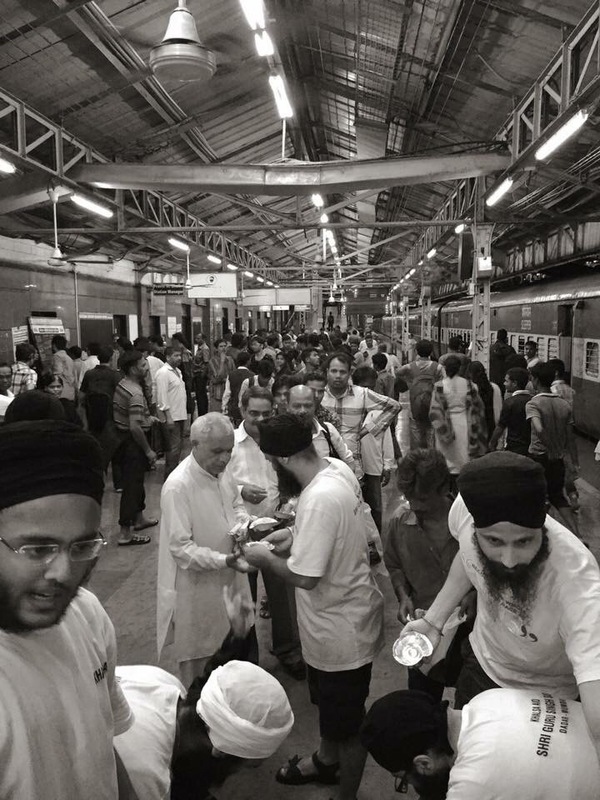 Rains in Mumbai led to hundreds Stranded at Dadar and out come the Sikh brothers from Dadar Gurudwara Sahib with food for everyone. Guru Nanak DEV Ji 20 rupees Da langar aj vi sare jagat Vich chalda. When Guru Nanak Dev ji was only 18 years old, his father gave him Rs.20/- (twenty rupees) and asked him to do a business, apparently to teach him business. Guru Nanak Dev ji bought food for all that money and distributed among hungry saints and the poor. He was asked by his father if he had done any business. He replied that he had done a ‘TRUE BIUSINESS’ by feeding the hungry and poor . We today call it langar. Thank so much @anilnarula and Khalsa aid for sharing these pictures .